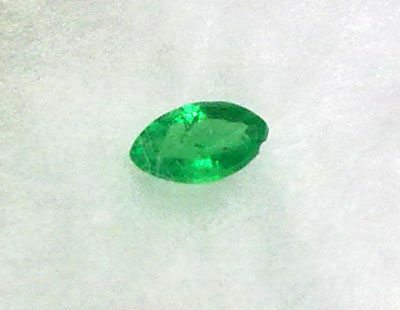 Small but precious natural green Emerald loose gemstone, from Colombia, the country of the best emerald in the world, this little gem is untreated, is not oiled or treated with resins or dyes to enhance the color. This natural colombian emerald come with an elegant marquise cut that show the beautiful bright green color and and excellent shine. This small emerald in color has its strong point, very saturated and bright, with a medium green hue (neither too light nor too dark) is very charming. Very precious stone to be set in a beautiful piece of jewelry or for your gems collection! Dimensions: 5.8 X 3.8 x 2.1 mm.